Fasting is important because of spiritual warfare (Mat. 17:21). Fasting demonstrates the earnestness and desire of the heart–Heb. 11:6. This is seen in Abraham’s offering of Isaac. God knew that Abraham would obey and give up the beloved son, but He required Abraham to go through with the act up to the very point of driving the knife into Isaac’s heart. Only then did God say, “For now I know that thou fearest God, seeing thou hast not withheld thy son, thine only son from me” (Gen. 22:12). Fasting can be seen as one way of evidencing the earnestness and sincerity of our hearts toward God in matters of prayer. We can say that such things as fasting are not necessary since God knows our hearts, but examples such as the one about Abraham and his son show that God does require evidence of our faith and earnestness. Fasting helps keep the body under subjection. “Know ye not that they which run in a race run all, but one receiveth the prize? So run, that ye may obtain. And every man that striveth for the mastery is temperate in all things. Now they do it to obtain a corruptible crown; but we an incorruptible. I therefore so run, not as uncertainly; so fight I, not as one that beateth the air: But I keep under my body, and bring it into subjection: lest that by any means, when I have preached to others, I myself should be a castaway” (1 Cor. 9:24-27). The body continually desires its own way. Its lusts cry out for fulfillment, and the process of fasting is in itself a subduing of the bodily appetites. The Apostle Paul knew that big battles are won through victory in small skirmishes, and wars are won through victory in individual battles. Daniel first had to conquer the small skirmish of his own bodily appetites as a young man before he could conquer the larger battle of refusing to obey the solemn law of the king regarding prayer as an old man. Victory had to be gained over food before victory could be gained over the lions. This is one reason so few church members attend prayer meetings. Too often we haven’t won the victory of prayer in our daily lives. Too often we aren’t in the regular habit of subduing the flesh in order to serve the Spirit. The Bible says Eli the priest was fat (1 Sam. 4:18). He did not subdue his bodily craving for rich food. The fearful truth is that his carelessness in the area of food carried over into every area of his life and ministry. He allowed his bodily craving for sleep to keep him from maintaining the lamp in the tabernacle through the night. The lamp went out each night, even though it was to be kept lit. The failure to subdue his own body was kin to and connected with his failure to discipline his sons. God said that Eli loved the fat offerings just as well as did his wicked sons (1 Sam. 2:29). Eli was not committing immorality with the women at the door of the tabernacle as his sons were, but his unsubdued love for food and ease was hurtful to his ministry. Eli should have been fasting and working instead of feasting and sitting! WHAT IS A BIBLICAL FAST? Again there is no set or rigid guidelines for fasting. In Daniel’s fast of 21 days, we are told that he ate “no pleasant bread, nor flesh, nor wine” (Dan. 10:3). Apparently Daniel did eat something, but he abstained from pleasant foods. God has not given specific instructions about fasting because it is to be a private matter between an individual and the Lord. A nursing mother, for example, would be unwise to go entirely without food for any significant length of time, because not only is she dependent upon that food, but her infant is also. God has promised, “I will instruct thee and teach thee in the way which thou shalt go: I will guide thee with mine eye” (Psa. 32:8). This precious promise applies to fasting. When should you fast? For how long? What should you abstain from as you fast? God will lead you very personally and clearly in all of these things if you are walking in fellowship with Him. DOES IT MATTER IF WE FAST? If fasting is an individual, private matter, something not specifically commanded by God, is it really important? Can’t it simply be left undone? No! 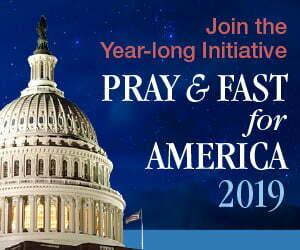 The Lord Jesus Christ said that there are spiritual battles which can be won by NOTHING but by prayer AND fasting–not prayer alone, but prayer AND fasting. This means spiritual, biblical fasting is absolutely essential at times for victory over the enemy. Paul no doubt considered fasting to be essential for victory in ministry and life. It is doubtful that he received some strange enjoyment from going without meals. What if we were to ask Hannah if fasting is essential. What would she reply? Surely she would tell us that fasting is important. Was it not through prayer with fasting that God gave her the son she so longed for? And what would we hear from Esther and Mordecai? Why didn’t she call a prayer meeting rather than going to the trouble to fast three days and three nights? Her reply most doubtless would be, that prayer alone is not always enough. There are spiritual victories which cannot be won without prayer and fasting. Ezra, too, would certainly add his Amen to the truth that fasting is sometimes essential for victory. Why didn’t he just gather the people together at the river of Ahava and have a few hours of prayer without the sacrifice of fasting? Apparently he felt that it would require fasting as well as prayer for safety in travel through those dangerous lands? “So we fasted and besought our God for this: and he was intreated of us” (Ezra 8:23). But what do these ancient events have to do with Christians who live in these busy, modern times? “Now all these things happened unto them for ensamples: and they are written for our admonition, upon whom the ends of the world are come” (1 Cor. 10:11).